Craig has been spending quite a bit of time interstate for work and Grace is missing her hugs. 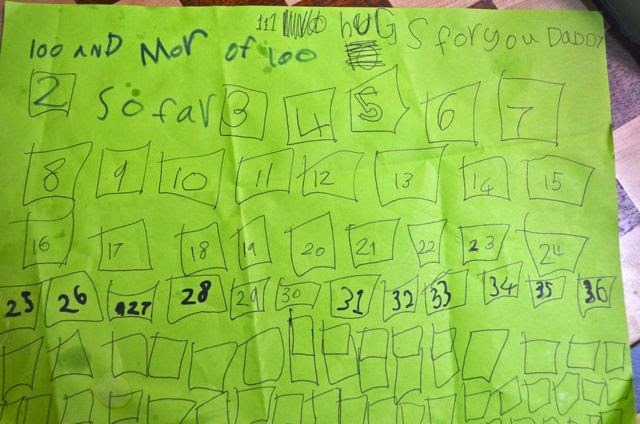 She rang him and told him that she wanted '100 more than 100' hugs, but her patience only extended to drawing 111 boxes. Since his return she has been keeping a close tally.